Now that the holidays are over, it is time that we give our bodies some TLC. As busy adults and parents, we sometimes forget that our own health is just as important as that of our families. Since many of us have New Year’s Resolutions to be healthier or lose weight, MPM Blogging Network decided to gather some of our favorite blogs and jump start your new healthy life style with the Healthy Living Giveaway Hop! Each participating blog below is hosting their very own unique giveaway. So make sure to stop by them all and enter to win. 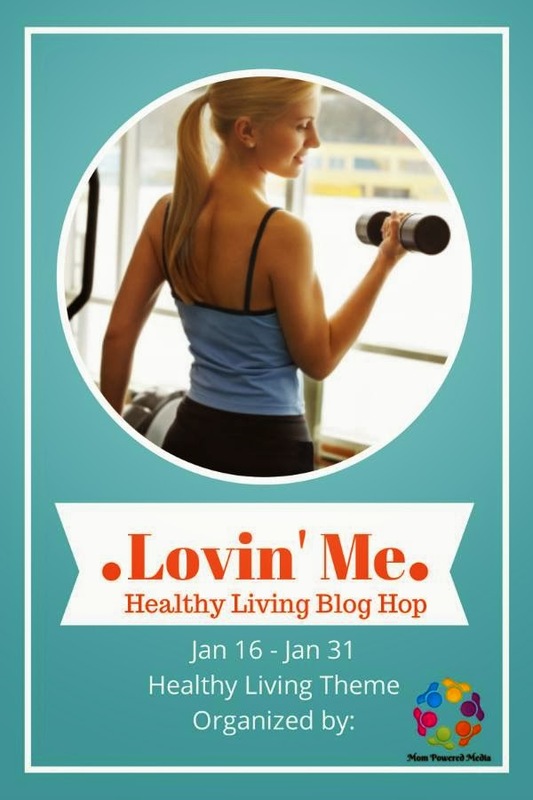 The Healthy Living Giveaway Hop is live 1/16 at 3:00 PM ET and ends 1/31 at 11:59pm. 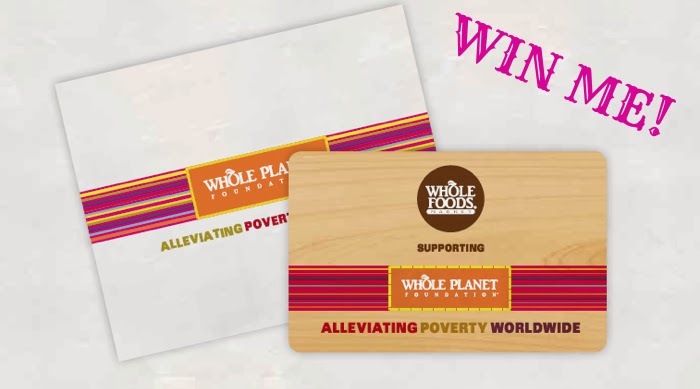 One lucky reader will receive a $50 Whole Foods Gift Card. Sweepstakes ends January 31st at 11:59pm, open to US, ages 18+. If the winner does not have a local Whole Foods, they can opt for a $50 Wal-Mart Gift Card instead. a Rafflecopter giveaway Would you like to have your products featured in a similar review and/or giveaway? Want to increase your social media exposure before the holiday season? See how we can help! Contact theiowamom@gmail.com to see what Iowa Mom can do for your brand! Sometimes - depends on the price! No ...But I would definitely like to start ...Thank you for the Giveaway! I like to, but the cost can kill my budget. I purchase organic products as much as I can afford to. I prefer not to contaminate my body with chemicals and gmo's. I purchase as much locally grown food as I can as well. I always buy organic foods to protect my family from pesticides, GMO, processed foods. When I can afford to I do. i like to buy some organic produce when it looks good! I love to buy organic when I can; I usually stick to the dirty dozen, though! I don't buy organic because it is more expensive. when the price is reasonable, yes. Sometimes organic costs 5x more than the regular option... then that's too expensive for me. I do at times, but not really, I just don't have that kind of extra money. No not really, just don't have that kind of extra money. I try to buy organic but sometimes it's just too expensive. I do buy organic foods as and when I think they are worth the price. Dairy products are my usual preference. I do buy some organic, but usually it costs more and I don't know enough about which ones to buy. I really want to try skincare products from Whole Foods. I want to buy organic but don't have the income to allow that. I've been trying to buy as much organic food as possible. GMOs worry me and I'd prefer for my family not to eat food contaminated by chemicals. I buy organic as much as possible. Dairy & produces especially. Why? Because I love my body and my planet. No, I don't usually buy organize goods because they are a lot more money. I do try to buy organize fruits/vegetables when I can. We generally do not buy organic because of the higher price, but sometimes you can find a good deal. I do buy organic as often as I can in order to avoid the chemicals and other items they put in food nowadays. I do ...when I can. I don't usually buy organic foods because I can not afford them. Occasionaly if they are on sale, I will. I try to buy the top 10 dirty list as organic...especially apples and banana's, carrots. I try to go every 2 weeks to the farmers market and pick up a few veggies and strawberries there that are organic but I don't go overboard, it's way too expensive to buy everything with a family of 6 budgeting. I'm trying though. I buy organic whenever possible. Often if it's not organic I won't buy it at all until I can find it organic. I don't need pesticides with my food, and organic tastes way better. I buy some organic foods, but feel like most of them aren't really worth the price. We buy organic when it is affordable. There is a difference in certain foods when you buy organic, but sometimes budget has to come before the best for you. I buy organic produce and animal products. I rarely buy organic because the store I shop at has very little selection. Some foods I buy organic and others I don't. It depends on availability and price! I only buy organic for some foods, but mostly not since it's too expensive. I love to buy organic prodcuts from farms the grocery store is too expensive and if I buy it from a farm I know it really really is organic. I do purchase Organic products on occasion. I haven't completely made the switch as some products are out of my budget range. But, as a healthy resolution for this year, I plan to "kick" junk foods and processed foods to the curb. This will free up more money for me to spend. Thanks for offering this awesome giveaway! If I am lucky enough to win, it will give me a great head start!! I buy organic fruit and veggies. I am vegan, my husband is vegetarian, and my children deserve the best that I can do for them, so organics are a must for my family. I buy organic foods when I can. I try to especially for the items on the dirty dozen. Other than that, I'm ok with regular produce! I buy certain organic products such as eggs, tomatoes and milk. I feel like these are important in my diet. Depends on what it is and the price. I prefer organic, but I can't always afford it. I try to buy organic products as much as I can when the budget allows. I do buy organic foods as much as I can! If you visit your local farmers' market you can buy organic produce cheaper than the grocery store. I do buy organic produce as much as possible! If you buy from your local farmers market you can get produce cheaper than the grocery store! I try to, but it's so expensive. I try to at least get organic fruits and veggies. I buy organic for the fruits and vegetables that would have a high pesticide load if they were conventional. I buy organic for the products that would have a high pesticide load with conventional farming. I buy what I can of organic products - they are more expensive. I honestly do not buy a TON of organic.... but have been looking to change that becasue of all of teh growth hormones and crap in the traditional products... it just seems to be a healthier, greener way to go! Thanks for the post! I'd like to but the cost is a budget killer and I'm on a very tight budget. Yes I buy organic foods, especially when I will eat the skin of the fruit because I will avoid eating pesticides. I buy some organic, buy our budget cannot sustain it. I concentrate on dirty dozen and most likely to be GMO foods. This means sometimes we just don't eat these foods if not on sale or in season. We try to eat as much organic meat as possible- wild game and what we can buy on sale. We buy some things organic, but either our store doesn't have very many or they are too expensive, so we don't get them as often as I would like to. I try to but I often struggle because the prices are higher. I try to buy am many organic products as I can. i do because the relative cost of organic foods is infinitely worth it to keep a myriad of pesticides & carcinogenic chemicals out of my body & my family. Sometimes, it really depends on the price. Sometimes I can get a good deal and buy organic. I don't usually buy organic foods because they are so much more expensive! I do buy organic fruit & vegetables, but the other stuff I only buy if it is on sale. I do when the price is reasonable. I try to buy organic as much as possible whenever the budget allows for the sake of our health and the environment. I try to buy mostly organic, there are some things that I am flexible on but I think it is important to buy organic because there are so many chemicals out there and that is one way to reduce your exposure. I try to buy organic. Depends on what is available in our budget. I buy some organic foods, but not all the time because that would be too expensive. When possible I do buy organic. It is more expensive so I am choosy about what I pick to purchase. I do when I can get them. Our local stores do not always have organic foods for sale. I buy organic. I feel the food is safer and there are far less chemicals if any. Yes, I buy organic whenever we can. I do a lot of research before I buy. When I found out about GMOs, it amazed me what I had been putting in my body. Now things that I used to eat don't interest me at all anymore. I buy some organic and some not. Organic fruits and veggies are definitely better and safer. At times I don't because of the pricetag. I try to buy as much organic as I can, as it's better for me. I want to buy organic, but most of the time the cheaper price of the GMO and chemically altered stuff wins out! I buy some of our food organic and some I don't. I don't buy it all organic because we can't afford to do that. Maybe someday I will when we have been married longer, our kids are in school and I go back to work. Not usually, because I don't think the benefit outweighs the price. I do sometimes, when I have the extra money to spend on it. I especially prefer organic meats. We buy mostly organic during the Winter months. During the Summer months I grow my own huge organic garden, so I don't have to purchase veggies during that time frame which is a HUGE help with the budget! Meat is all local, grass fed, and while we do pay more for the food we consume, I am hoping my children don't hear verdicts like Congestive Heart Failure and High Blood Pressure, or Cancer like so m any do! I sometimes buy organic fruits like grapes and apples, esp those where you eat the skin. I buy some organic produce, but it can be hard to get everything organic with a limited budget. I definitely try to, I concentrate on specific items that tend to be more tainted with pesticides or gmo grown. I buy organic sporadically. I would love to buy it more often, but I simply do not make enough money to be able to do it more often. I buy organic when I can, but can't always afford it. Usually don't buy organic food, but would love to try it out!!!! I love to buy organic from our local farmers, and occasional from the grocery store, but it is so much more expensive and with other dietary restrictions have to choose what is most beneficial at the time and gluten, free is top at this time. But we do love the selection of foods at Whole Foods Groceries. Yes, I do buy organic- usually at farmer's markets. I do buy some organic, but not all. It's a budget issue. I always buy organic milk. I buy as much organic meat/poultry as possible, produce when the price is right. I buy organic to keep as many chemicals out of my family as possible. I buy Organic Foods sometimes, because of the Price I sometimes don't. I don't buy much organic, but I do buy local! I consistently buy organic because I like to know what I am putting inside of my body is pesticide/gmo free. I also purchase free range and grass feed meats. Yes I do! Love shopping at Whole Foods and lucky to have a Trader Joes which really helps the costs. I don't buy a lot of organic foods because they are so much more expensive. I try to buy mostly organic foods for our family. I try to buy organic, when we can afford it. We follow the Paleo lifestyle, so we try as often as possible! I do buy organic foods. We have a Natural Grocers not too far from our house. I finally realized that if I eliminate all of the processed stuff I was buying I could afford to buy organic. I try to buy my root vegetable as organics. During the summer I GROW most of my produce and we do not use any chemicals. Yes I do. I buy almost everything organic. There are some things that if organic is not available or if there is just a REALLY good sale, then I will buy it even if it is not organic. But there are somethings that if organic is not available then I will just do without. Corn, Soy, Tomatoes...etc. I like to buy organic fruits and vegetables because they are healthier and are not sprayed with chemicals. I buy all my fresh veggies and produce as well as tofu and coconut milk organic. I'm hoping to be able to buy more organic foods in the future. I do when it is affordable. I buy organic sometimes when I have the budget because I feel it is made without all the chemicals! I buy some organic items but have not moved to organic meats yet. Sadly, they are not in our budget. I try to buy organic as much as I can, but sometimes price stops me! I buy some organic foods, depending on whether my family likes the product or not. I try to buy organic foods as much as I can. I try to when I shop especially if you eat the skin of the item. I try to buy organic when I have the chance. I buy some organic. It just depends on what fits into my budget. Some weeks I can afford more organic than other weeks. I try to buy organic when I can. Wish it was more! I buy organic fruit 50 percent of the time! I prefer it. But I'd eat a brownie if I knew it was poison! If I can afford it I do...it's kind of expensive so I can't always do it. I do and I don't. Wish I could do more. Hard to get everything on a budget! Yes I Buy Organic, It Is A Healthy Choice. I do when I can afford to do it. I do have to buy gluten free since I have celiac disease. Yes, I do buy organic foods when I can find a good deal on them. There are a few organic items that I buy regularly at Whole Foods because they are really good for me and I enjoy them. But unfortunately, I can't afford to go all organic at this time. When I can afford them I %100 do. Otherwise I read all ingredients and make smart and fresh choices. Thank you for the giveaway! I do when I can! I try to buy organic when its available - I want to feed my family healthy foods! Sometimes I buy organic and sometimes I dont. I think a lot of organic stuff is a bit pricey, I do try to buy stuff from local famers as much as possible. I don't buy exclusively organic because I just can't afford to unfortunately. I do try whenever possible to do so and all my bath/beauty and household products are natural and homemade off Etsy.com or organic products. Yes! I am teaching my kids to eat healthier & do not like the chemicals put in our foods. I try to buy organic, or at least pesticde free. Buying organic only is so expensive! i do when i can. they are always more expensive, so i have to see what i can afford that month, and what's on sale. I buy some foods organic but not all. It varies with each grocery trip. I buy organic as much as we can afford to. I buy organic goods when they're available. I buy organic foods when I can afford them. I do whenever I can. It depends on what it is and pricing and how much money I have. I don't, although I would like to. I find organic foods are a little too pricey for our budget. I don't buy organic but I tend to eat organic in the summer because I grow a vegetable garden. I do when I am able to! It can get expensive though! I try to when I can, because they are better for you! Yes, we do buy organic. I like the make sure that I am putting as little pesticides and preservatives in my families bodies as possible. I feel that it is healthier for them. Most of my groceries are organic. And all have natural ingredients! Some foods I do, but they are expensive. I buy some organic and usually it is fresh produce. It is a little to pricey to switch over to all organic. I purchase some organic when I can and other times I do not. I want to get into buying my meat and eggs locally. I try to buy organic as often as possible, so that my family has the best possible food! No,because they cost too much. I do, but I also buy unorganic.. I buy organic when it is cost effective. Yes, I buy organic food. The main reason is to stay away from GMO. If the box says non-GMO, I will buy it too. I buy as much organic as I can. Sometimes it's just too expensive. I buy some organic items. Some are just to expensive. Yes, I buy organic when I can, especially fruits, veggies and dairy,. I don't usually buy organic food because of the expense. I plan to when my budget looks better. Thanks for the giveaway! I typically don't because of price! Sometimes, but it's not a priority. Some days you read organic is the best, the next you read it's not. I buy very little organic food products, because buying organic would make our food bill go up quite a bit. I buy organic for the health of my children!I try my best to feed them safe healthy foods! I try to because I want to be healthy and be a good example to my kids. I try to buy organic produce that is on the dirty dozen list like apples, blueberries, strawberries, celery and potatoes. It depends on the price. I buy organic food whenever I can, depending on availability. My family went all-organic (or all-natural, depending on the products and availability) about 10 years ago. I was 17 years old and my mom was very sick. We totally cleaned up our diet, started eating the Weston-Price method as much as possible, and my mom made a full recovery. I've been sold on good nutrition and organic eating ever since then! I buy some, but mostly the ones that appear on the dirty dozen list. I buy organic, I'd rather spend the extra money on something good for me than to fill my body with chemicals.